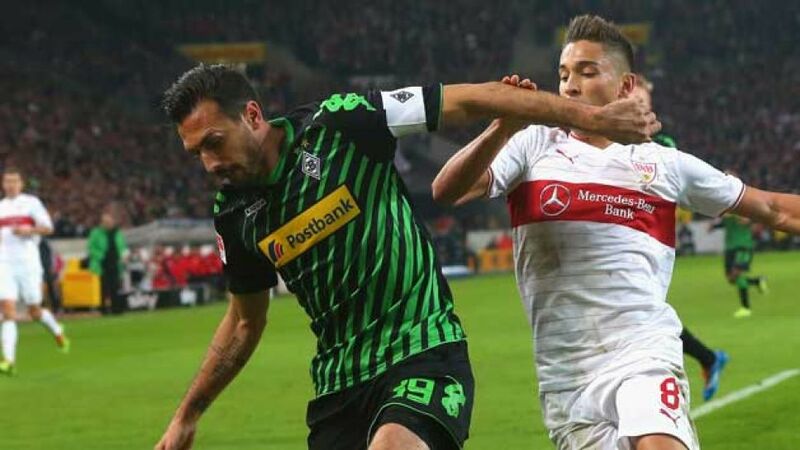 Mönchengladbach - Borussia Mönchengladbach and VfB Stuttgart meet at Borussia Park on Saturday afternoon (kick-off 13:30 GMT/15:30 CEST), with both teams in need of victory for very different reasons. The Foals are currently neck and neck with Bayer 04 Leverkusen in the race for the fourth and final UEFA Champions League qualification spot, while only goal difference is keeping Stuttgart out of the relegation play-off place with five matches of the 2013/14 season remaining. Favre will be without defensive duo Martin Stranzl and Oscar Wendt for the Swabians’ visit, but captain Filip Daems is back in contention for a starting place against Huub Stevens’ side after missing last week’s victory over 1. FC Nürnberg through illness. “He’s been able to train more or less normally this week and is available for selection,” confirmed Favre. The Swiss coach may decide to stick with Alvaro Dominguez at left-back, however, after the Spaniard impressed against der Club last time out. Centre-back Georg Niedermeier is set to return for Stuttgart after missing their crucial derby win over Freiburg through suspension, with Daniel Schwaab set to revert to right back. Daniel Didavi, who made only his second appearance of the season against the Black Forest club, is suffering from an infected toe and is considered doubtful for the clash at Borussia Park. Compared with their opponents, Stuttgart’s prospects look altogether less rosy. Die Schwaben are locked together with 16th-placed HSV on 27 points, but VfB’s marginally superior goal difference is just about keeping their heads above water going into the final five games of the campaign. Stevens’ team will travel to North Rhine-Westphalia in high spirits, however, after recording their first victory under the Dutchman’s tutelage against die Breisgauer.